Spirit: Magic, Forgiveness, Meaning, Aim. Places to visit: Tunisia, Seychelles, Bolivia. Things to learn: Architecture, Local Space Astrology, Paragliding. 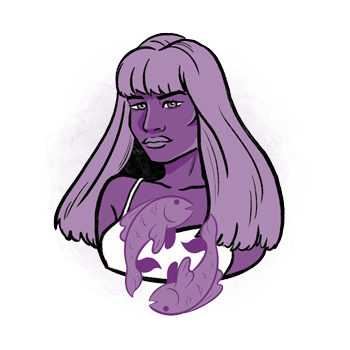 Freedom comes naturally to Pisces representatives in 2018, as if it was the most obvious thing in the world. With a lot of effort, you will set free from certain relationships, friendships that take too much of your energy, and everything in your life that lacks substance and meaning. This is the year of high ideals when your aim needs to stay above your head and your world turned to the future and all those dreams you wish to bring to life. Inspiration will come slowly, slower than usual, because you are ready to produce, act on your desires, and do something specific in the material world around you. Influenced strongly by movements of Jupiter in Scorpio, confusion seems inevitable from March until July. The autumn carries powerful insights that will give you the opportunity to create and earn from your creativity. Many things will feel uneasy and be hazy in your mind, but this won’t stand in your way with the set of ideas that come in just the right moment every time. You are about to learn about the advantages of your Sun sign, if you listen to the finest tune of the Universe and follow signals by the side of the road. Long-term friendships become difficult to hold on to during the summer months, and even though you know everything is just as it is supposed to be, you won’t feel good about the situation in the end. Remember that as one door closes, another one opens up. This will help you move on from past issues and towards new relationships that will be supportive of your evolved Self. Year 2018 begins with a strong pull into the future, giving you a sense of direction and hope for what is yet to come. Before the autumn, you will learn incredible new things and approaches to your entire system of beliefs that could get you to any goal you set out to reach. Use the opportunity to grow quickly and expand your horizons until your heart is full. You are more vulnerable than it seemed, especially when it comes to your throat and your lungs. Stick to a healthy routine and learn about breathing exercises and ways to improve your overall oxygen intake. To open up to the world bravely, lift your shoulders and your head up, stretching and having enough movement every day. This isn’t the best time for your nervous system and inflammations are possible in different regions of your body. Take care of your immunity as much as you can, and keep your blood pressure and possible skin conditions under control. Headaches could be caused by too much stress, but the overall physical state should be satisfying and relatively easy to handle. If you have been suffering from a chronic condition, this is the year when it could be resolved. Turn to alternative methods of healing and choose approaches that are a bit more liberal and in connection with the energy field you belong to. Friendships could turn into love and long term bonds will start feeling a bit dull. Bring excitement into your emotional world, one way or the other, and do something out of the ordinary that will give you the energy needed to keep things clear. Finances could stand in the way of a healthy marriage in lives of many individuals born in the sign of Pisces. It is really important to keep your boundaries clear and obvious, your wallet personal, and have something that belongs to you even if you and your partner have a joint account. Share material wealth, love and thoughts selflessly, but only up to a point in which you still feel comfortable. If you respect your own limits, others will respect them too. Your usual working routine is about to get enriched by ideas that can actually be implemented every step of the way. A new approach to old things and ways you settle your accounts might bring incredible progress sooner than you think. The position of power you wish to reach for is closer at this time than it has been for a while, but only if you are willing to learn, move and work hard until your efforts lead you there. Even though many risky investments are possible, it would be wise not to gamble everything you own away. Do what you can to assess the risks and be prepared for any possible scenario instead of simply hoping for the best. Once you truly feel you deserve something more out of life, money will come along with everything else. Freelance activities could bring the most of your income this year and in time they might turn into stable jobs with just the right working hours. 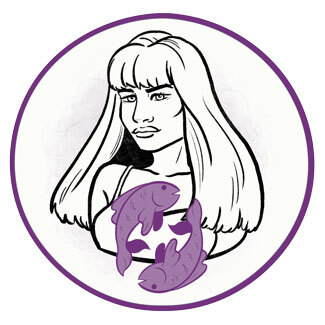 Pisces Horoscopes - daily, weekly and monthly Pisces horoscopes..